Who do I thank for the extra hour of sleep this morning? We have officially turned the corner into fall even in our still sunny landscape. The leaves got the memo and have begun turning red and burgundy across the street, letting a plume of wind set them in flight. I have pulled out my warmer pajamas, which isn’t saying much since we are still in California. But as the weather begins dipping into chillier degrees, I join the rest of root vegetable lovers the land over in praise of the roast and braise. 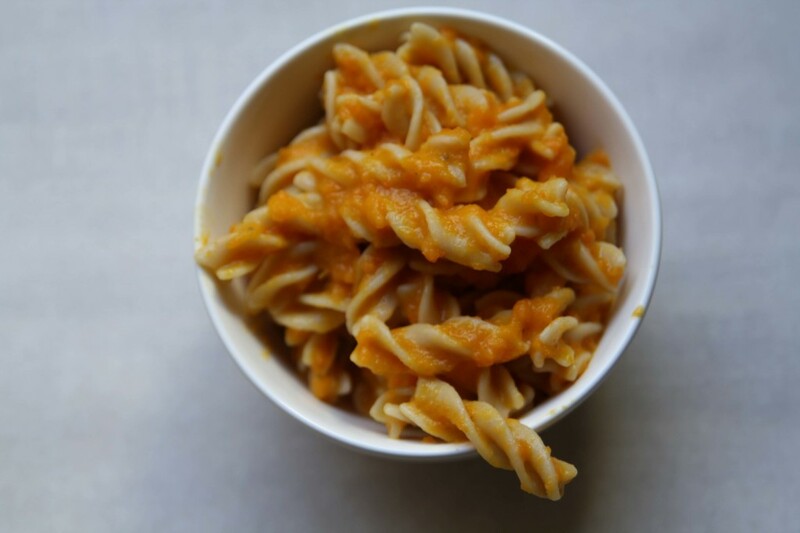 In the spirit of embracing the seasons as they change, I decided to take that as a challenge for pasta sauce and developed a comforting carrot simmer sauce that decidedly clings to each curlicue. This is a recipe perfect for the long nights ahead. 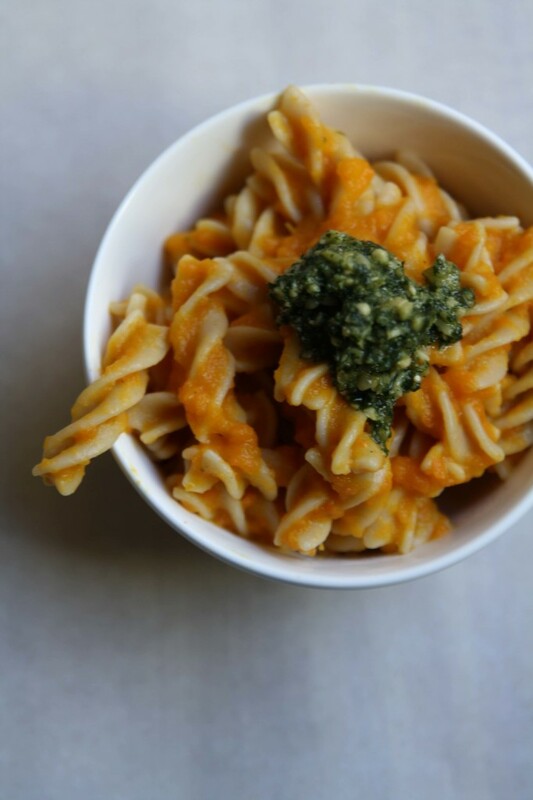 Garnish a bowl of it with savory Carrot Top Pesto. 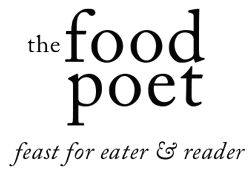 I am thrilled to be a new contributor to The Weiser Kitchen and will be writing about married life and sharing recipes in a column called Eat Takes Two. Sometimes my love of wordplay and cheeky banter find their own marital bliss. Head over there for the Carrot Simmer Sauce recipe. Thanks Amanda. This sauce serves up into a dreamy, comforting flavor for fall evenings.